Hello there I’m Tolvo, back to trying out LP’ing again after getting an external hard drive and working on fixing all of my technical problems I’ve had in the past. I will be LP’ing in this thread Sekiro: Shadows Die Twice, a game I’ve already beaten a few times and have already done challenge runs(Including no hit) of the bosses and game. Those videos are on youtube so beware, if you want to avoid spoilers do not look at my videos tab on youtube. 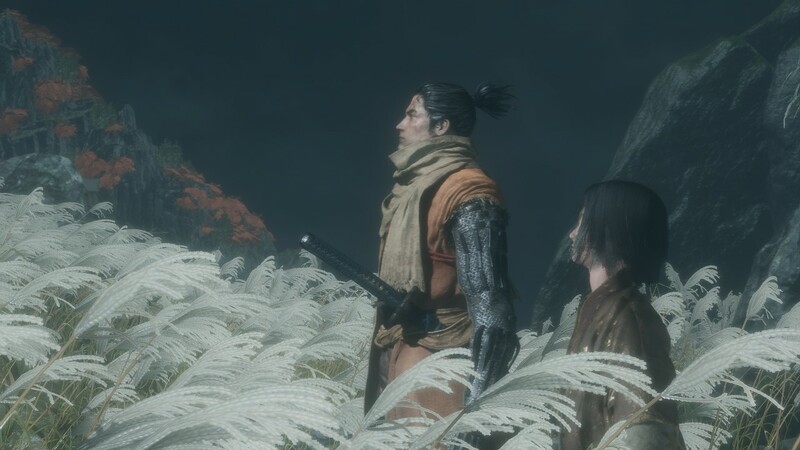 Sekiro has a good amount of content people may wish to avoid, I will do my best to list things that I believe fall under this category below with explanations for those that require it. Blood and Gore - Sekiro features a lot of combat. 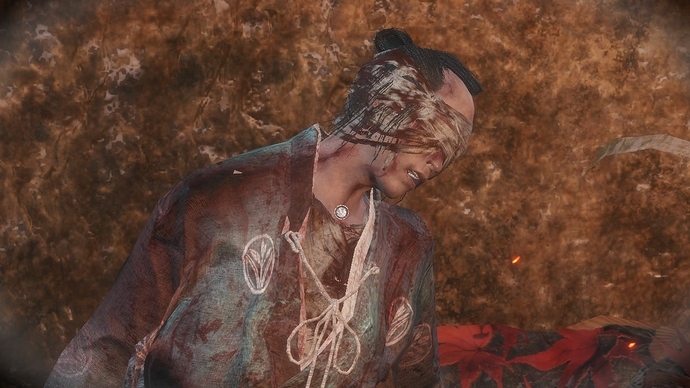 It is not as gory as a lot of Souls games are or Bloodborne, it is more inspired by Japanese cinema so it goes for the blood burst a lot, but there are moments with gore and beheading which are especially frowned upon in Japan. 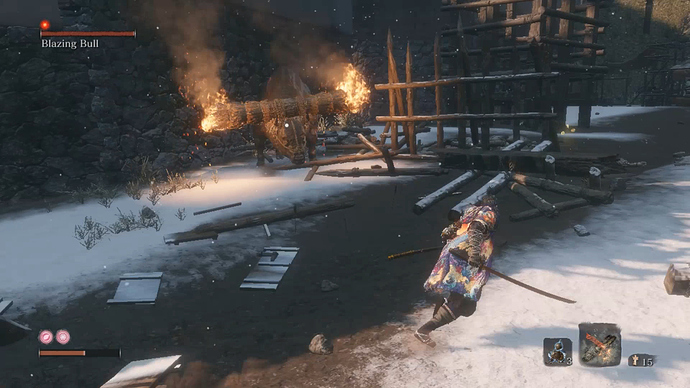 Flashing Lights - Sekiro has fires, and explosions. 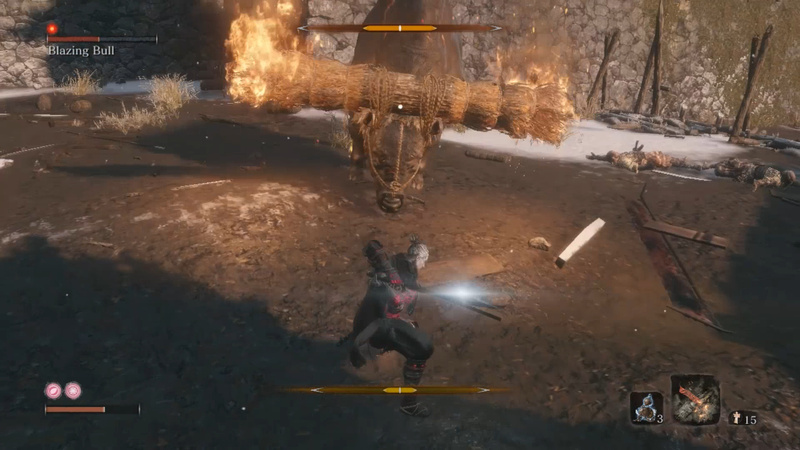 It has energy attacks, it also has a system for parrying which involves a flash of light to indicate when you’ve parried(Deflected) an attack. Overloading Stimuli - Sekiro has moments and areas with a ridiculous amount of particles, moving characters, fire, and other lights. Frequently there is falling snow or flora and a lot of areas are on fire. This is on top of all the various different attacks and sounds. 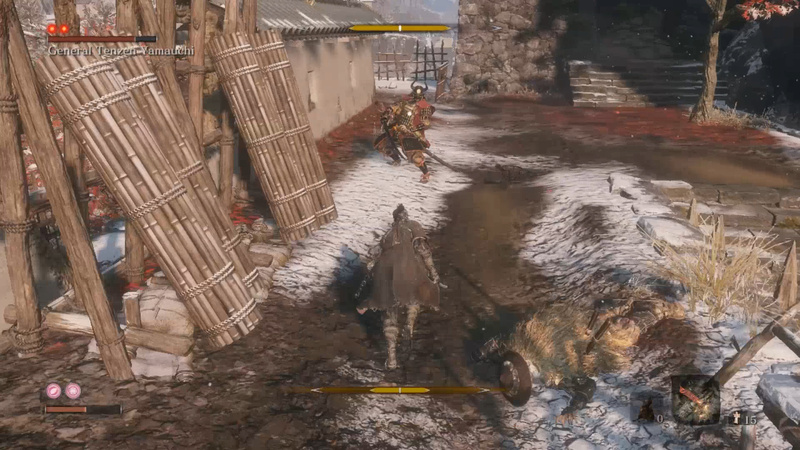 Animal Cruelty - Sekiro features enemies that are animals, every enemy in the game that I know of has deathblows(Executions) which may be upsetting to people. 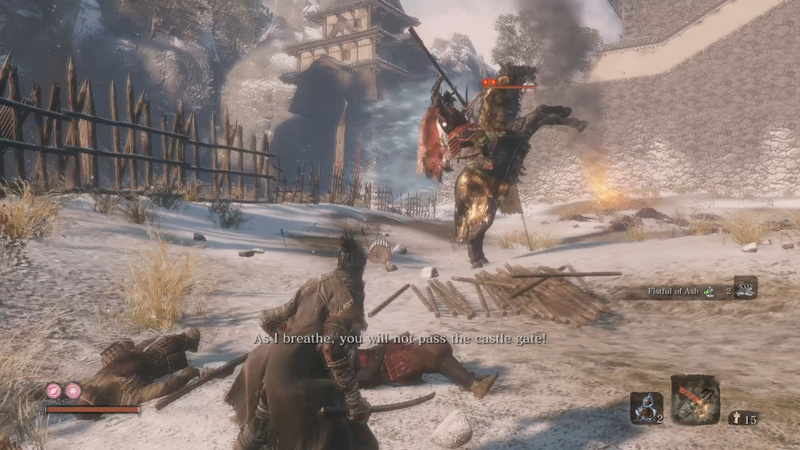 Violence Against Children - Sekiro often does censor this, when a child is to be harmed, which is usually done in a ritual manner not an attack the game hides the child with the camera and environment or completely fades to black(Wolf is even told to close his eyes). The opening cinematic does feature a sword being dragged across a child’s cheek and them cutting their hand intentionally on the blade in contrast to the rest of the game. However while it does fade to black you will hear audio. Gunshots - Sekiro takes place after Westerners landed in Tanegashima in Japan during the Sengoku Era, as such guns are around and there will be loud gunshots. 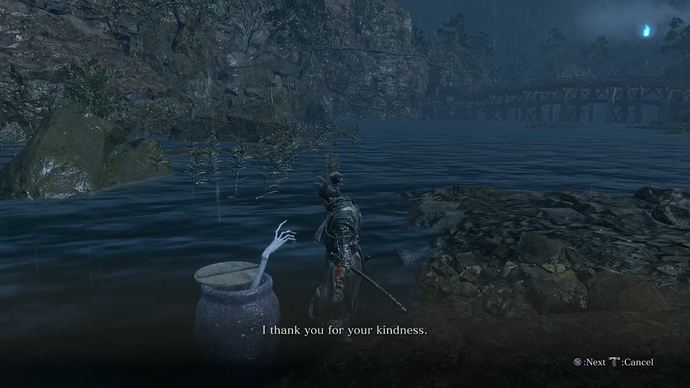 Alcohol - Sekiro has alcohol in it. 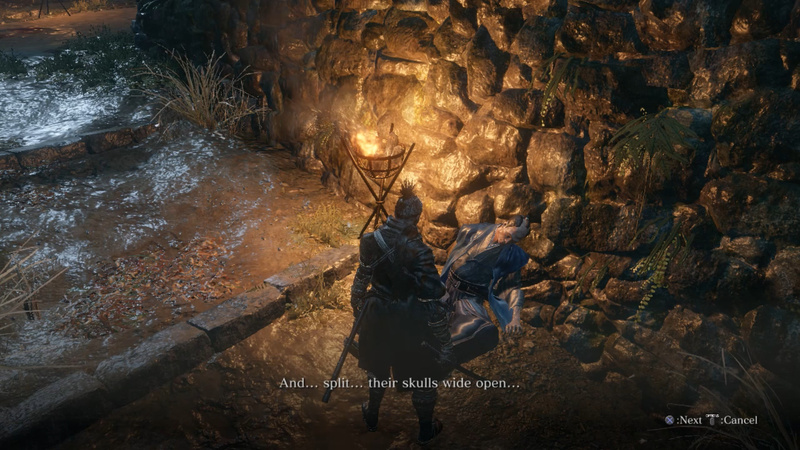 Usually it is just given to an NPC to hear dialogue though it is in a few other moments. 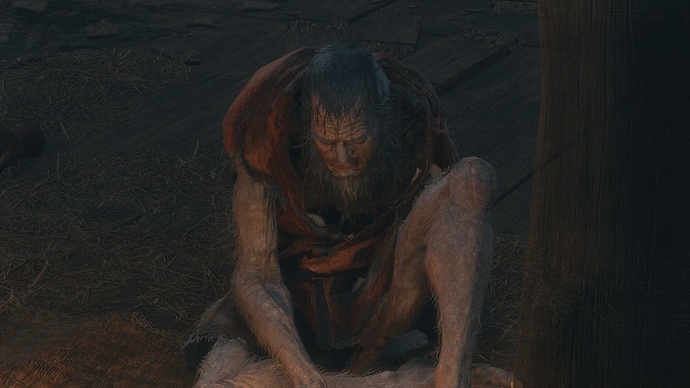 Body Horror - Sekiro does feature some body horror, not to the degree of other Fromsoft games but it is still there. 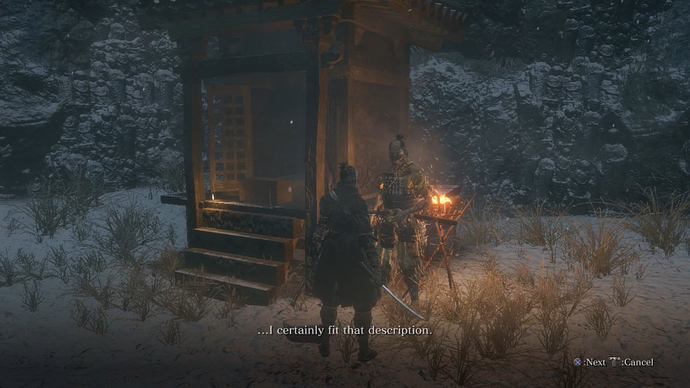 Centipedes - Centipedes are core to the story of Sekiro and are in key moments in the game. 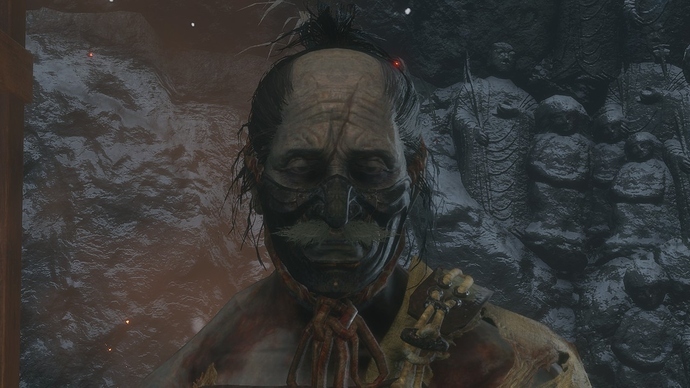 Darkness - There are very dark areas in Sekiro. Wolf naturally can see in darkness but it still has a very dark filter. I play on max brightness. Ghosts - Sekiro has an Apparition enemy type, some of them are kind of creepy and have spooky music. 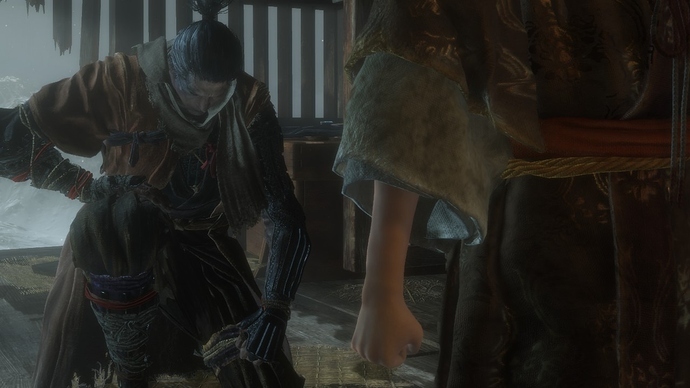 Suicide - Suicide is not actually very common in Sekiro despite when it is set, very rarely is it mentioned and mostly it is done so in relation to rituals. Disease - Disease is core to the story of Sekiro and people can get violently ill and die in the game. Loud - Sekiro can get very loud, I’m playing on the lowest difficulty available for the LP and will try to adjust things in editing if it is needed, this is especially difficult with voice over so I will do my best. 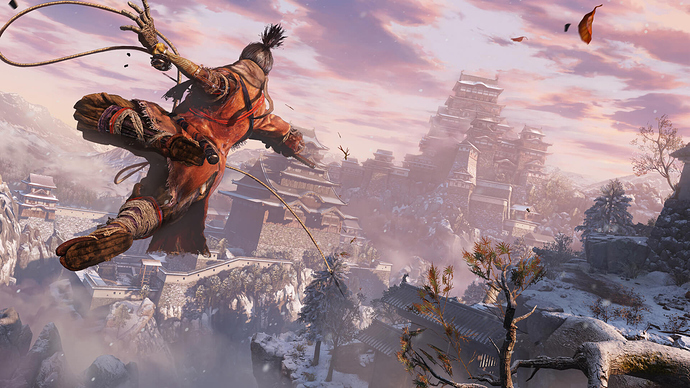 Heights - Sekiro has some incredible heights, and you can fall for dozens of seconds at points. As well using grappling hooks and climbing are core parts of the games. 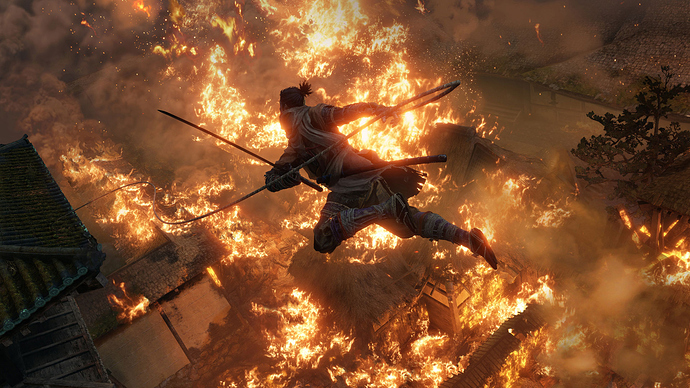 Sekiro: Shadows Die Twice is the latest Fromsoftware game. It is a spiritual successor to the Souls series and Bloodborne but is quite different in many ways. 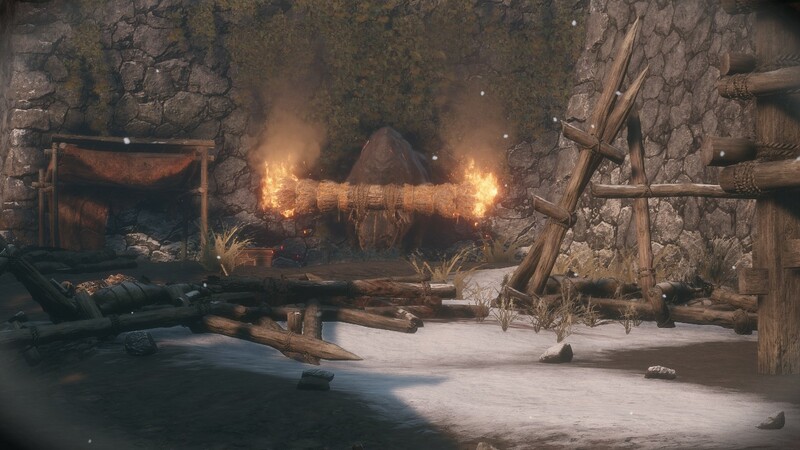 There will be some carry over features like dying and returning to a resting area, the camera and basic movement and button layout are similar, but largely it is quite different in a lot of ways and borrows a lot from the Assassin’s Creed series and even Legend of Zelda at times. 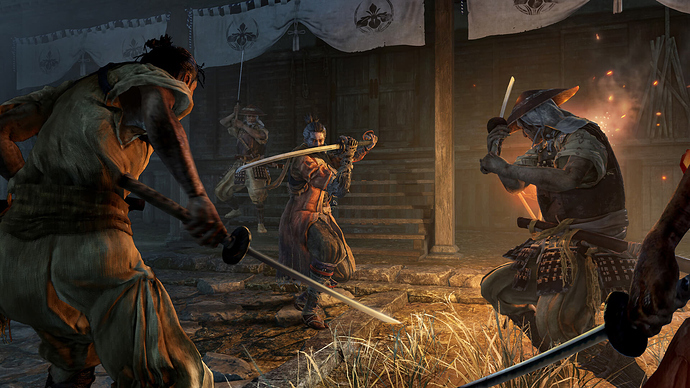 Sekiro released on March 22 in 2019 and was met with a lot of acclaim and frustration. This is a game personally I find very easy, but with certain specific parts being incredibly hard(Notably a few of the fights). Sekiro relies a lot more on movement and solving fights as well as finding the weaknesses of a boss and tools that counter them. 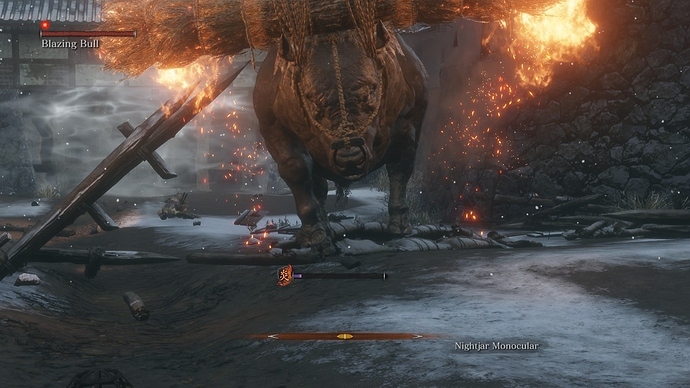 When you have figured out which items make a boss much weaker they’re mostly very easy. This rewards a lot of exploration in the game. 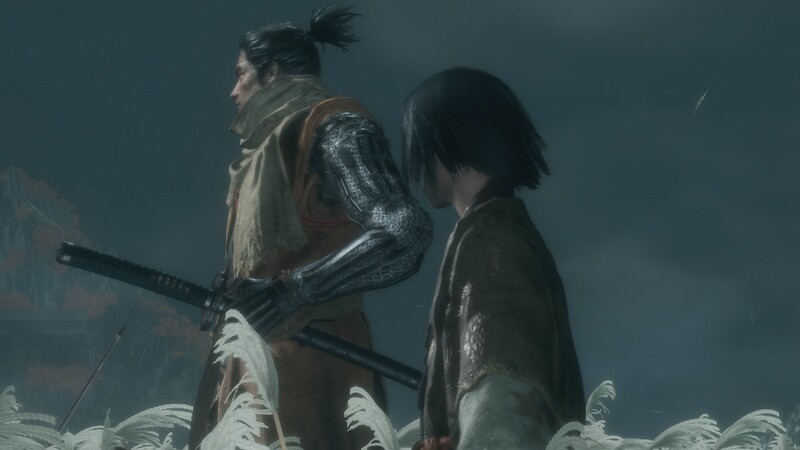 Sekiro is set after the end of the Sengoku Era which is considered to have ended after the Battle of Sekigahara near Gifu in 1600 in Japan. Judging by the opening cinematic and other dialogue it is set around 1620, which is also after the Osaka Campaign(1615), as such this should be under the Tokugawa Shogunate. There was a real Ashina Clan in history but the one in Sekiro is fictional and uses a different Mon(Clan Emblem) and the names of the leaders are different from those in history. Ashina appears to be located deep in a mountainous region, possibly near Kyoto but it is very hard to tell as Japan does have multiple holy lands. There are later clues that make me think it is near Kyoto but it’s not easy to tell. How much of our actual history it follows is largely unknown other than that the Warring States Period(Sengoku Era) happened and this is after it. The LP will be done by me, Tolvo. Currently I have no plans for guests(I’m not sure how to even do that with my setup). This will be an informative high skill LP, I have already beaten Sekiro on NG+ and am about to finish it on NG+2 with two kinds of hard mode on top of that(Without Kuro’s Charm and with Demon Bell). 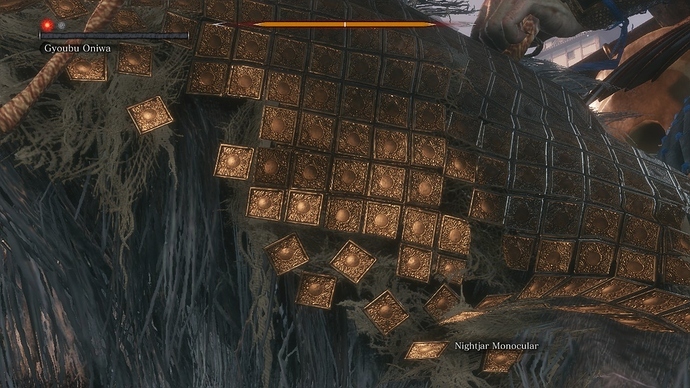 I have done every boss in the game and can no hit many of them with multiple tries and prefer to fight them without cheese(Though I may show off how to for those curious or stuck). I will be trying to show off all of the paths, endings, fights, and secrets. 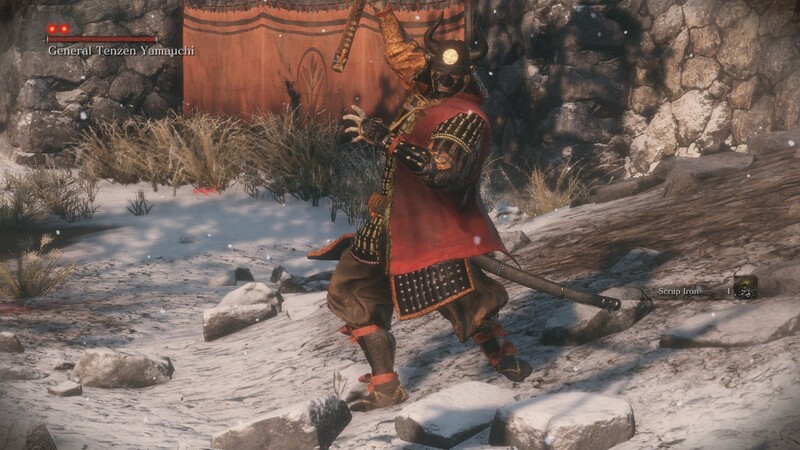 As well I will be discussing the history of this period and things that are being referenced, I will try to be detailed and factual such as discussing who the statues in game depict or bits about Japanese culture and how the game is showing views regarding historical Buddhism. 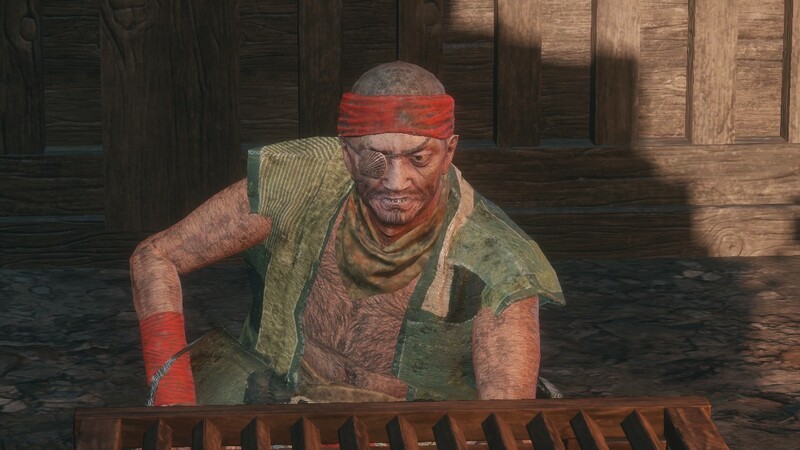 I will be trying to explain how to win fights for those who do not have the capabilities I do in this game(Which is nothing to be ashamed of, I obsessively play Fromsoft games for thousands of hours). 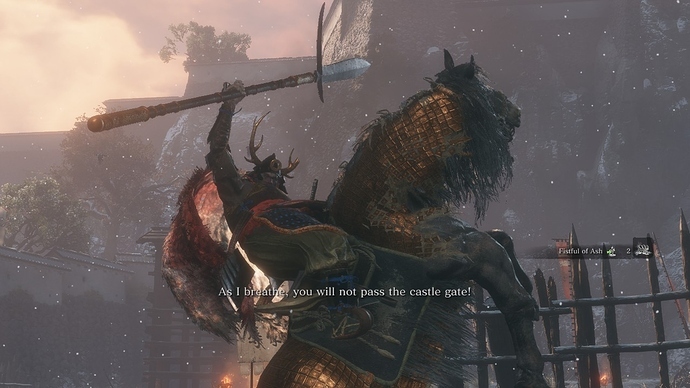 There is a guide of mine up on how to do the Mikiri Counter but it does contain one miniboss if you don’t want spoilers for that. In the first video there wasn’t too many opportunities for it but I will go through tutorials and explain how to do everything in the game in detail and as best as I can. There will be sections for item descriptions, images of characters, what we know about them so far, areas, a sort of mini wiki for those who want to brush up or maybe missed who someone or what something was. If you can please hide spoilers and tag them appropriately. Accessibility is very important to me, it’s something I’ve been thinking about more and more with my LP’s and I’ll be trying to do some things to make my LP more accessible. I will be trying to do captions using youtube’s system, I will try to do transcripts. For posting of images with text I will also write out the text. This LP is in Japanese(Voice) so I may also do transcripts for all dialogue spoken by characters in game that I can read in English(I do not speak Japanese). And if I do find the time and it is possible I may even do supplemental videos with all of the dialogue in the English dub for those who wish to be able to just listen to them rather than read it(Or who can’t read it for one of many reasons). If I do my own captions at any point I’ll try to use easy to rad fonts for people with impaired vision and dyslexia. 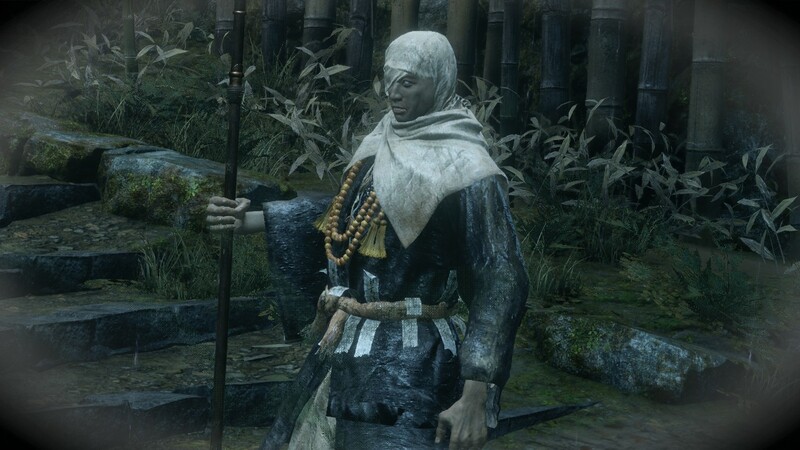 Wolf - Wolf was a boy scavenging the battlefield after the end of Ashina Isshin’s coup, while scavenging he was discovered by the Shinboi Owl who took him in. Owl trained him as his own son and taught him the Iron Code. This Code demanded he follow his father first, and master as a close second. Owl then set Wolf to be in servitude to his new master Lord Kuro the Divine Heir. Wolf is the protagonist of the game Sekiro: Shadows Die Twice. 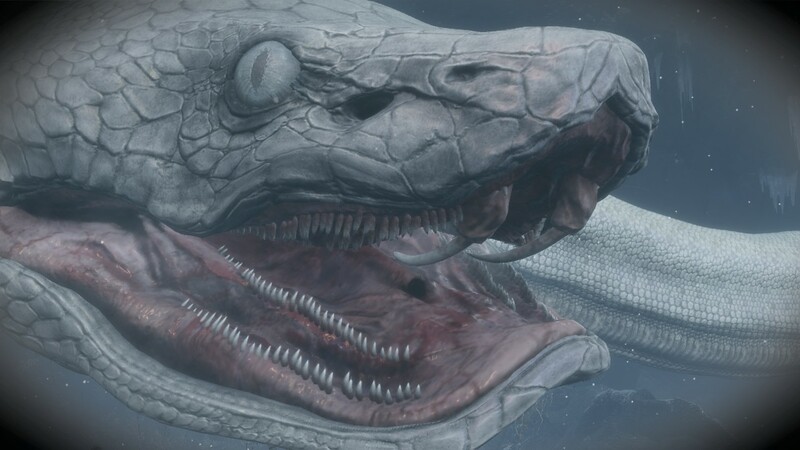 Prologue - Wolf awoke inside of a well, he had lost his memories. 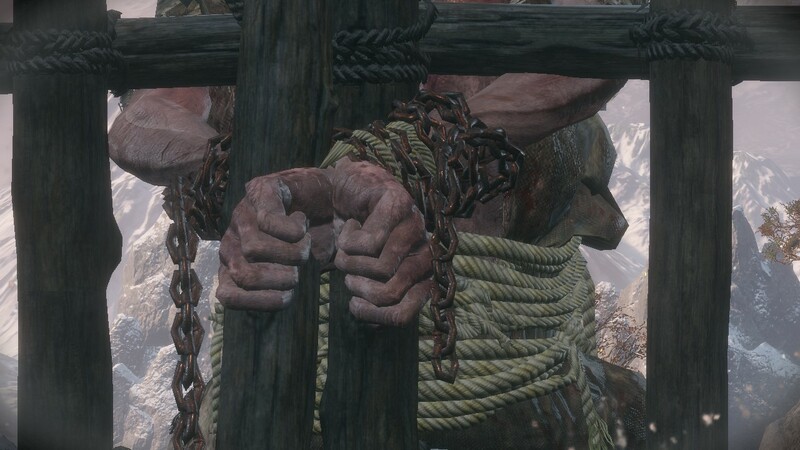 Lord Kuro had been captured and Wolf was without his weapon. He managed to sneak to Kuro, get his weapon, and escape for a time with his master. However they were confronted by Ashina Genichiro who cut off Wolf’s arm and stole Kuro away. 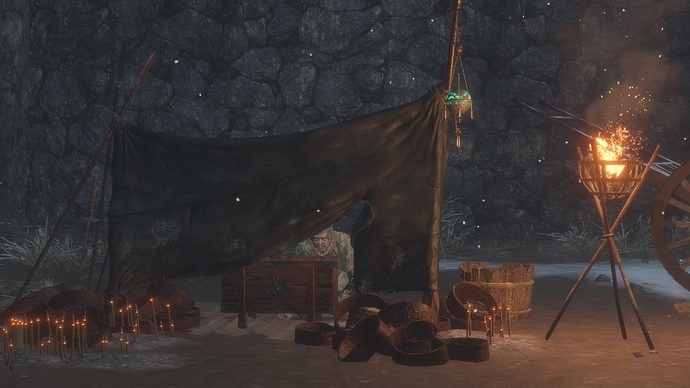 Wolf awoke in a strange hut with a prosthetic arm. Lord Kuro, the Divine Heir - Lord Kuro is the Divine Heir, this means that his blood holds the secret to immortality. He is the master of Wolf who is sworn to protect him at all costs. As a young boy he is physically weak but is of great character. Prologue - Kuro has been captured by the Ashina Clan. He has been betrayed. 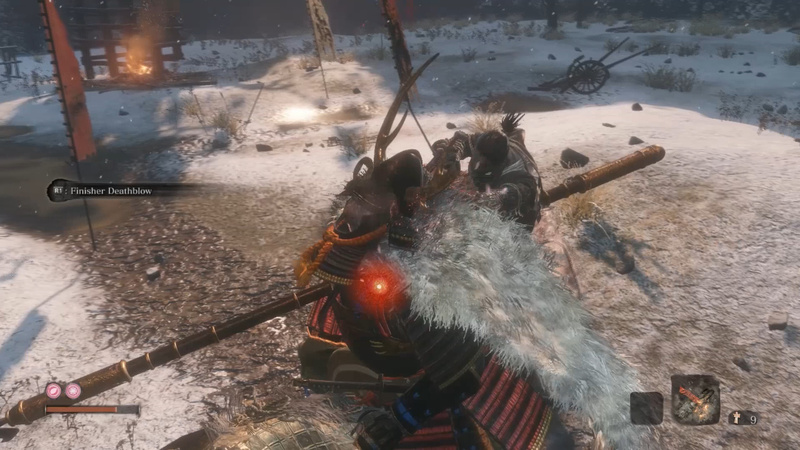 Wolf manages to rescue him from the Moon-View tower but not before Ashina Genichiro arrives. He cuts of Wolf’s arm and takes Kuro away. 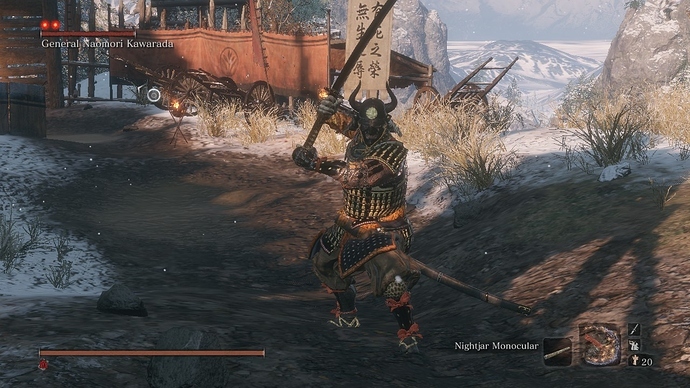 Ashina Genichiro - Prologue - Ashina Genichiro appears to be acting as the current head of the Ashina Clan. He has decided to capture Lord Kuro to use his blood. 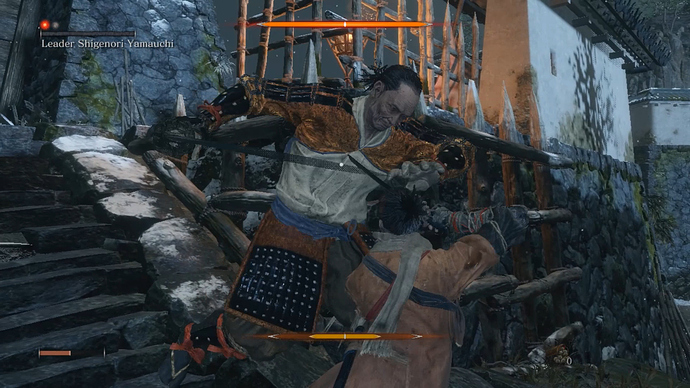 During the 2nd capture of Kuro he cut off the arm of Wolf and left him for dead. Ashina Isshin - 20 years ago at the end of the Sengoku Era, Ashina Isshin betrayed his Lord(s) and tried to take power. In a fierce civil war he killed General Tamura then took over the clan, which may or may not have previously been called Ashina. Isshin was considered a Kensei(Sword Saint). The Sculptor - A man missing an arm who endlessly carves sculptors of a Buddha of Wrath. 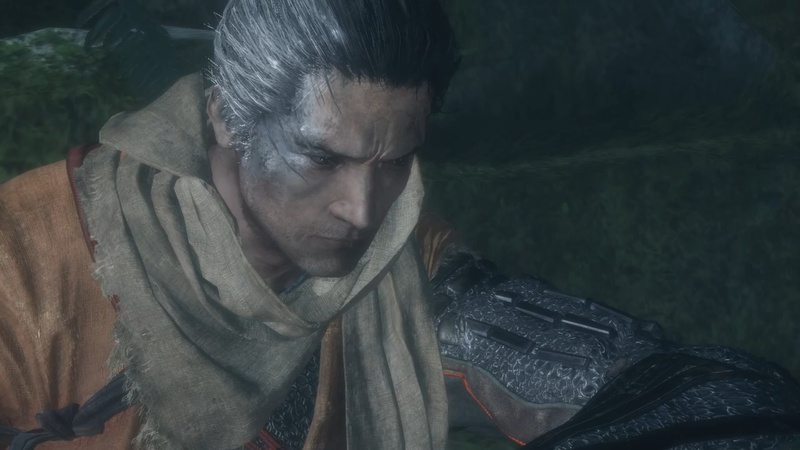 He saved Wolf after Wolf lost his arm, and gave the Shinobi Prosthetic to Wolf. 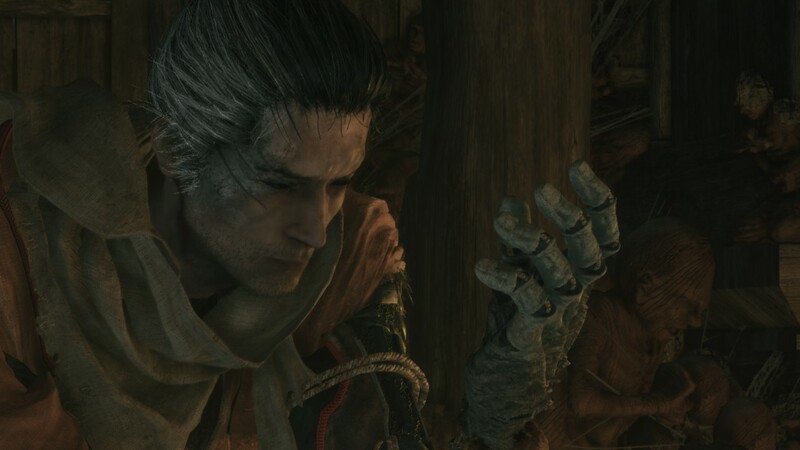 The Sculptor was once a Shinboi and was gifted this arm by the master doctor Dogen. Emma the Physician - Emma is the student and apprentice to Dogen the great doctor. She is the creator of the Healing Gourd and is an ally to Wolf. Her goal is to see Lord Kuro rescued and she is able to aid with healing and improving the Healing Gourd. Shinobi Owl - Owl is the foster father of Wolf. He found the boy scavenging a battlefield and took him in. Owl trained Wolf in the ways of the Shinboi, taught him the Iron Code, and put him in service of his new master Lord Kuro. 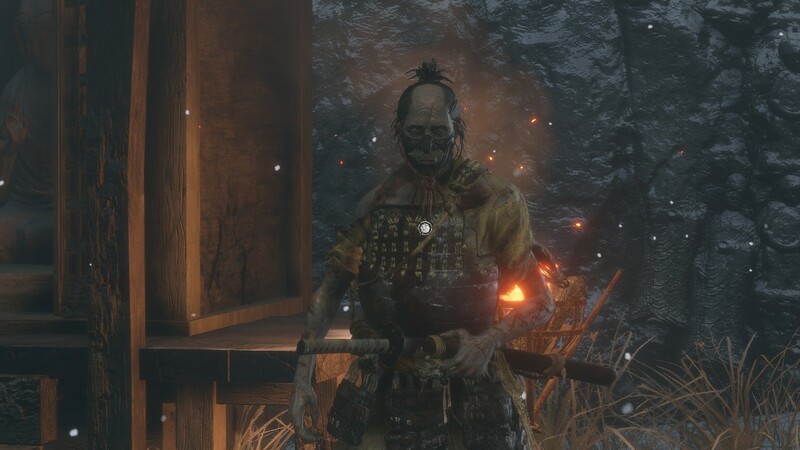 Hanbei the Undying(Infested) - Hanbei is an immortal, he is incapable of dying. This is a curse to him but he does see value in this and wishes to aid Wolf in sparring. This way he can help Wolf hone his skills. 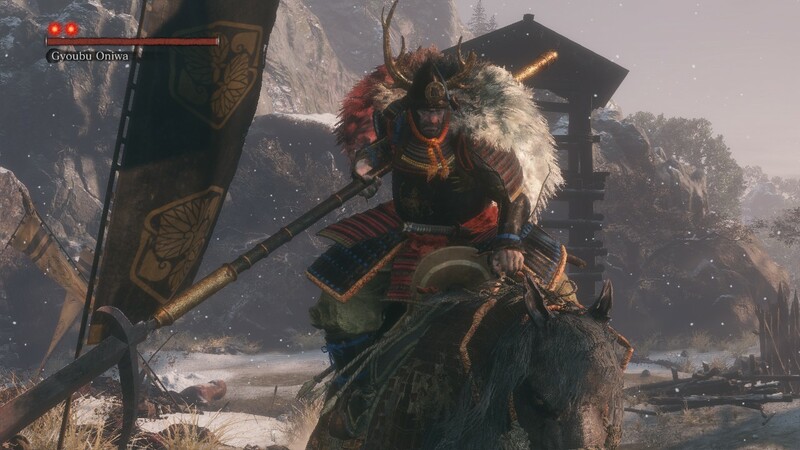 General Tamura - General Tamura was the leader of the forces that were fighting against Ashina Isshin during his rebellion. 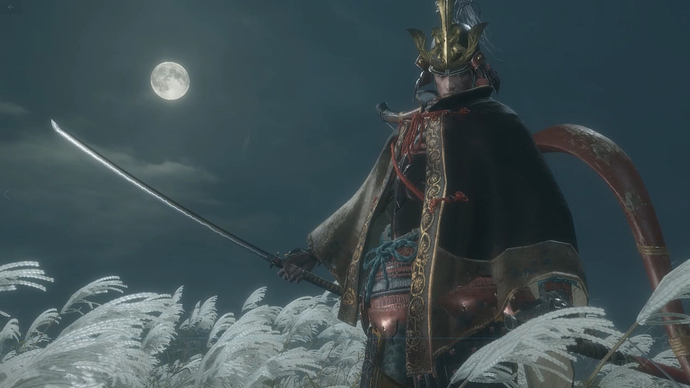 He was killed in the opening cinematic of the game that is set 20 years ago at the end of the Sengoku Era, likely around the time of the Battle of Sekigahara. 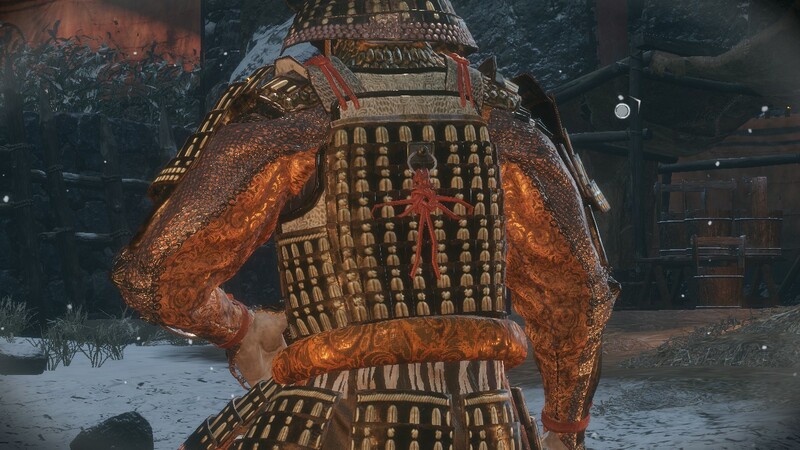 The text shows “General Tamura” but the Japanese voice says “Tetsuo Tamura.” This can mean that perhaps his name isTetsuo Tamura, but in Japanese Tamura would be the family name and said first and Tetsuo is commonly a given name and would be second. It may also mean “Iron Husband” or “Iron Man.” So it may be a title for him like “Iron Tamura.” Tamura was a clan name at this time but it was of a very insignificant clan. They were located near the Date Clan at this time as far as I know. In either case while important to the backstory he is insignificant to the game. Leader Shigenori Yamouchi - Basically just some guy. 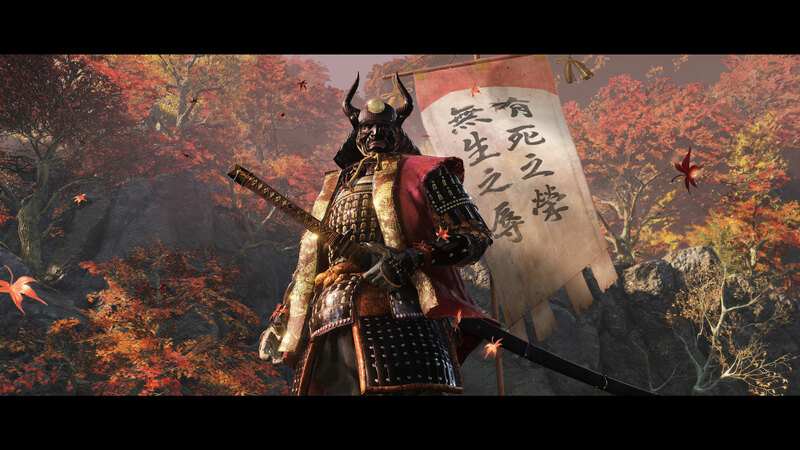 General Naomori Kowarada - A general of the Ashina, not much is known about him. Healing Gourd - A gourd filled with Vitality-restoring medicine. Resting refills the Gourd. Made by an apprentice of the extraordinary doctor, Dogen. Though it is strange that the gourd’s medicinal waters refill automatically, the seeds within may hold the secret to how it works. Pellet - Medicinal Pellets that slowly restore Vitality. A secret treatment passed down for generations in these lands, records say it has been used in battles since times long gone, and lent to the famed resilience of the Ashina warriors. A pill case full of these pellets would also serve as a battle charm. Fistful of Ash - Ash gripped into a hardened clump. Throw it at an enemy to temporarily distract them. In Ashina, the snow falls thick and thus the hearth runs thick with ash. Homeward Idol - A small, palm-sized wooden Buddha. Can be used repeatedly. Held by the Wolf ever since he was saved by his father, its corners are rounded with use. This Buddha is used to return home. It will return the user to the last visited Sculptor’s Idol or the Dilapidated Temple. Kusabimaru - A katana given by Kuro, the Divine Her. An heirloom of the Hirata Family a cadet branch descended from Ashina. Once thought lost, it has found its way back into the hands of the Wolf. 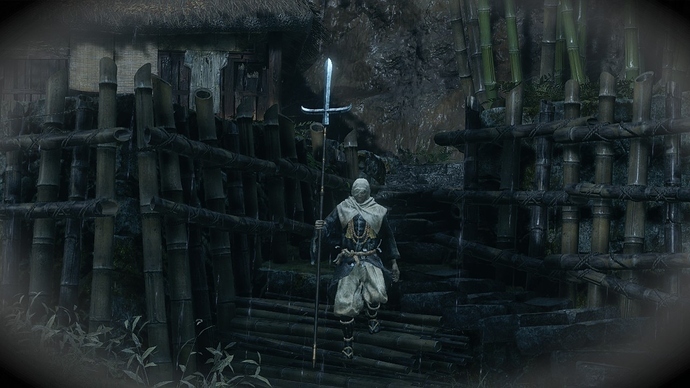 The name Kusabimaru beseeches, “A shinobi’s role is to kill, but even a shinobi must not forget mercy.” A mantra the blade itself may manifest. Shinobi Prosthetic - The artificial arm of a shinboi, passed down by the Sculptor. A replica of a human arm fitted with a variety of mechanisms, apparently designed with modification in mind. While it bears a number of cuts and is stained thick with blood and oil, it has been impeccably maintained. 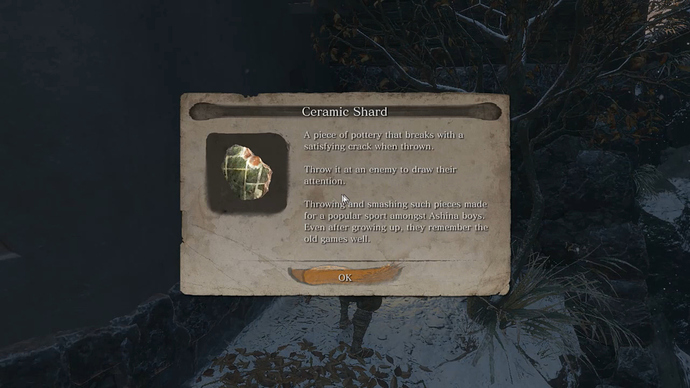 Ceramic Shard - A piece of pottery that breaks with a satisfying crack when thrown. Throw it at an enemy to draw their attention. Throwing and smashing such pieces made for a popular sport amongst Ashina boys. Even after growing up they remember the old games well. Light Coin Purse - A purse filled with a small amount of sen. t can be used to acquire the sen inside. Has a somewhat satisfying weight to it. 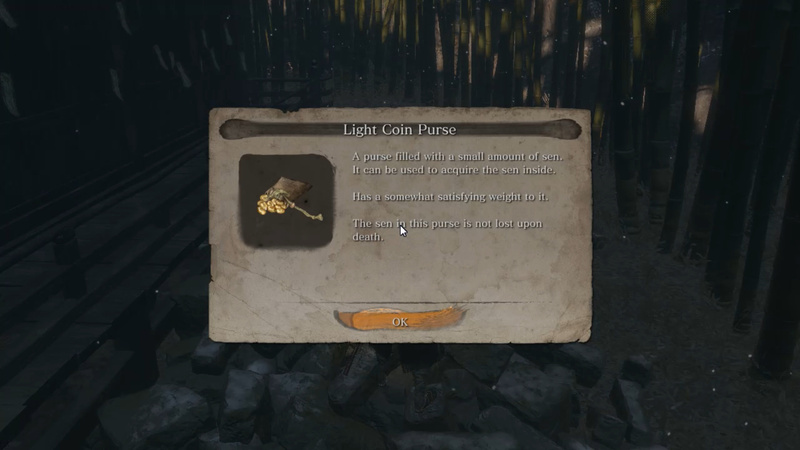 The den in this purse is not lost upon death. 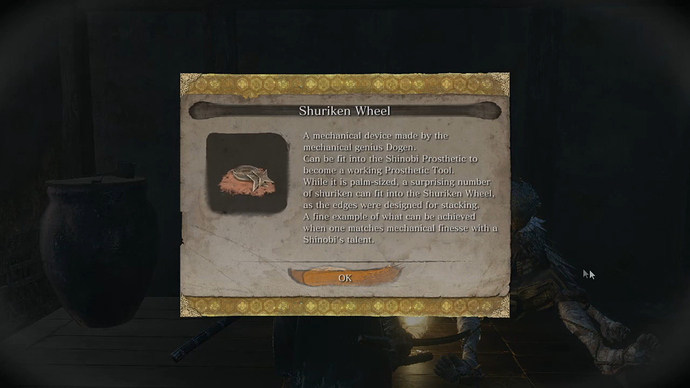 Shuriken Wheel - A mechanical device made by the mechanical genius Dogen. Can be fit into the Shinobi Prosthetic to become a working Prosthetic Tool. While it is palm-sized, a surprising number of shuriken can fit into the Shuriken Wheel, as the edges were designed for stacking. 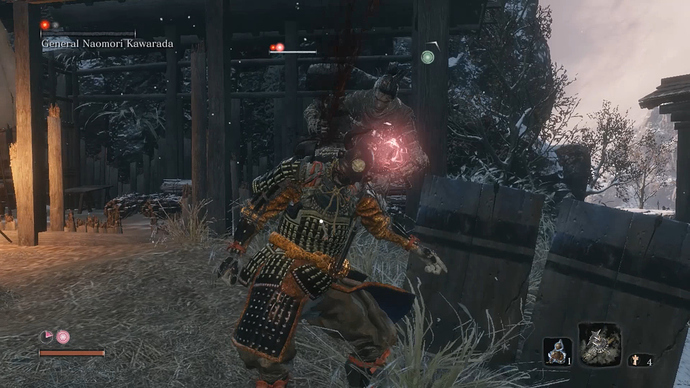 A fine example of what can be achieved when one matches mechanical finesse with a Shinobi’s talent. Loaded Shuriken - A Shuriken Wheel Prosthetic Tool, fitted to the Shinobi Prosthetic. Costs Spirit Emblems to use. Pull a shuriken loaded into the wheel and launch it at a target in a single, flowing motion. 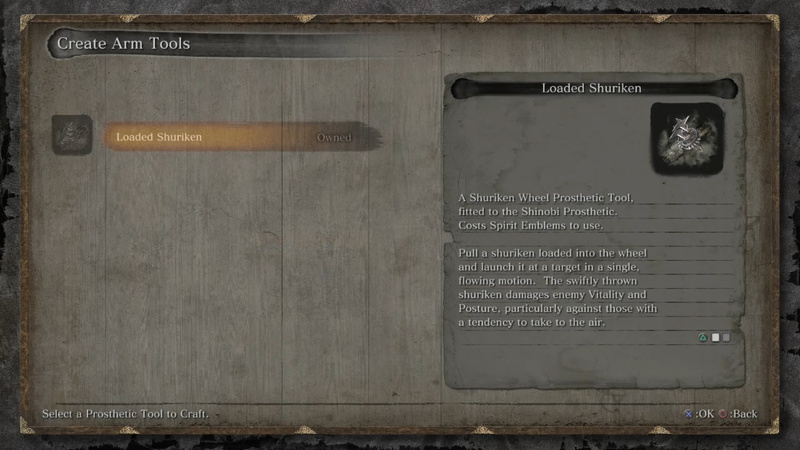 The swiftly thrown shuriken damages enemy Vitality and Posture, particularly against those with a tendency to take to the air. Gourd Seed - Seed from which healing waters continuously spring forth. Give to Emma to increase the maximum uses of the Healing Gourd. 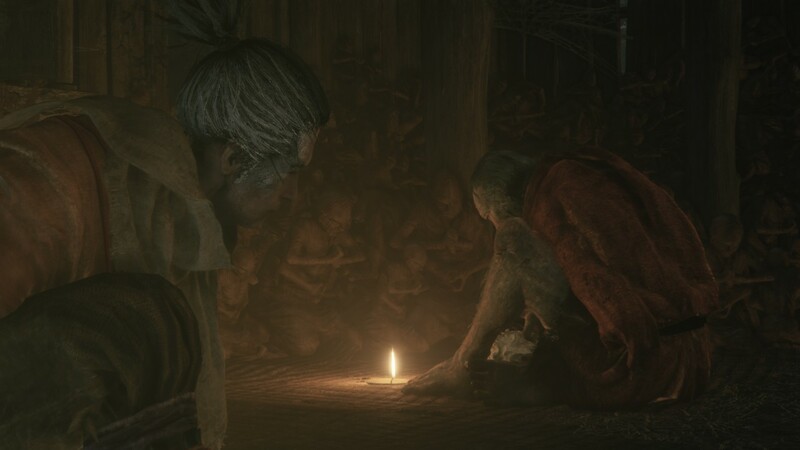 The twisted gourd of medicinal waters was known throughout Ashina since long ago, but it was the extraordinary healer Dogen and his pupil Emma who discovered the self-replenishing nature of this seed. Prayer Bead - A loose prayer bead. Offering 4 of them at a Sculptor’s Idol will increase maximum Vitality and Posture. Currently the Wolf has 1 bead(s) in his possession. 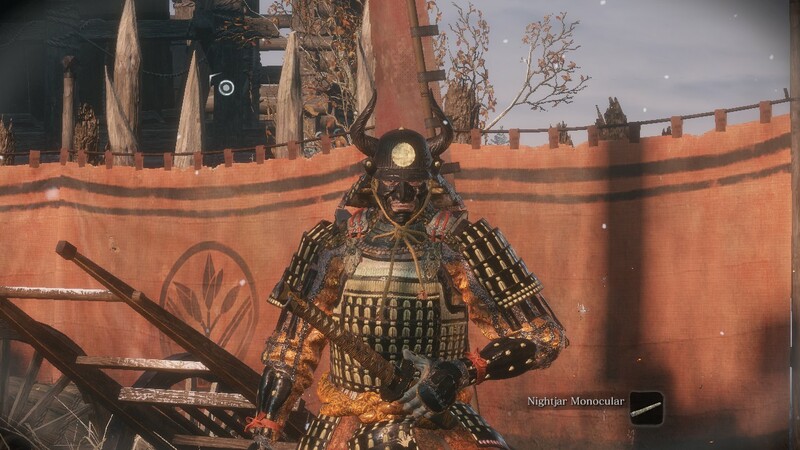 In the first episode we get an introduction to the setting, at the end of the Sengoku Era Ashina Isshin the Sword Saint(Kensei) staged a coup against his own clan and took over. In the aftermath a Shinboi named Owl found a boy on the battlefield scavenging who he named Wolf and took in as his own. Wolf was trained in the ways of the Shinobi and grew up to become a servant and guardian to his master Lord Kuro, the Divine Heir. Wolf awakes in a hole, in the Ashina Reservoir at Ashina Castle. 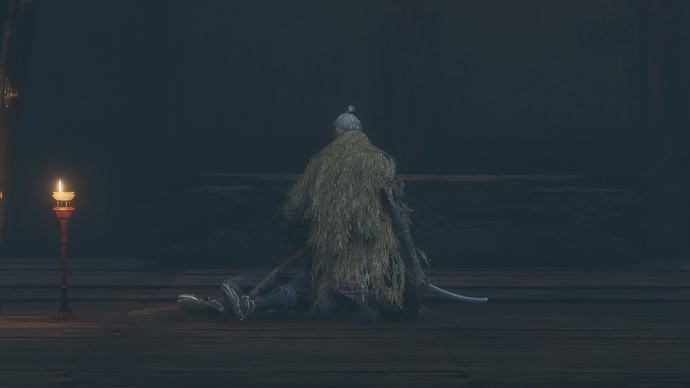 He has lost his immediate memory and is awoken by a message to not give up and to go save Lord Kuro. 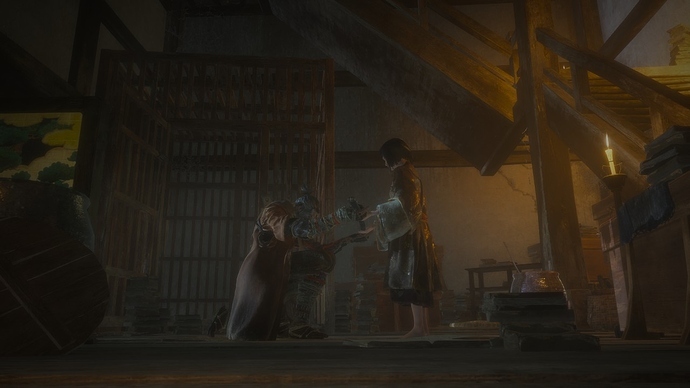 Wolf manages to sneak his way out and find his Lord, who gives him his sword so he may take out the guards and make a safe path to a secret passage for escape. 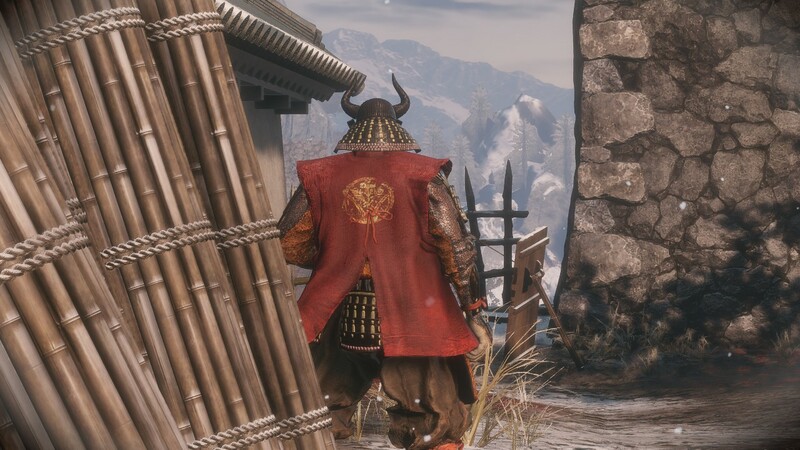 After making it the two are confronted by the Lord(Likely a Daimyo) Ashina Genichiro, who seemingly rules the Ashina Clan now. He and Wolf fight, with Wolf ultimately losing his arm and Kuro is taken away. Wolf awakens later in a strange building with a prosthetic arm. Hey awesome. I’ve been hoping someone would do an informative Lp of this game. 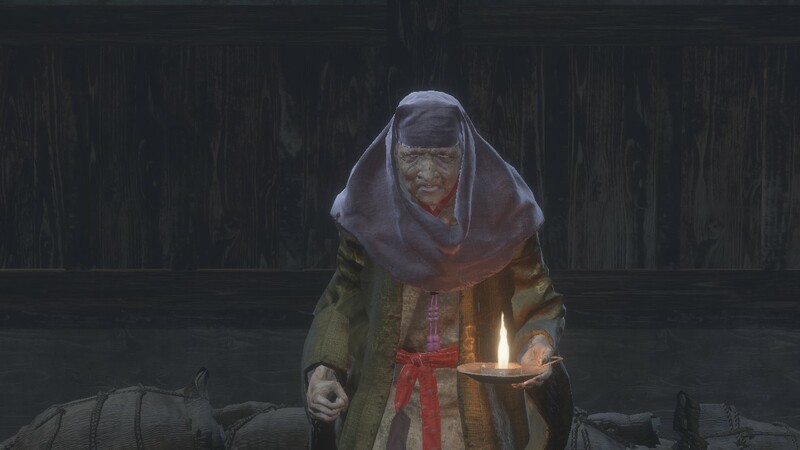 I’m garbage at the souls type games but love all the lore and details. I hope to do it justice! I wanted to make sure I could do it right so I made sure to beat the game a few times on higher difficulties and hard modes, and have done a lot of experimenting and testing of fights and mechanics. So I hope I can show off a lot of the game. 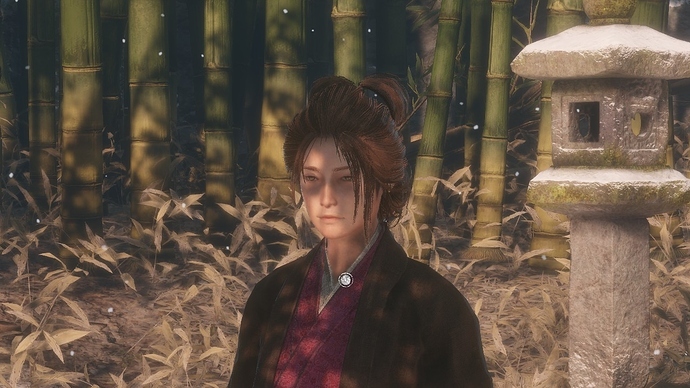 I should mention Sekiro also does have a mod someone made that allows for you to slow things down, and change various options, that can make the game easier and more accessible for many. I haven’t used it myself yet(I might to slow down certain things and show them in detail and analyze them), I’m unsure if I can link it but sites have been doing articles on how good it is. Thank you! And welcome to the LP Zone(I know we talked on the Discord but it also said this was your first post on the forum). I’m hoping as well that seeing how i play can help others, a big thing in these games is that it’s important to be confident in what you’re doing and not panicking. At times the “It’s super hard!” mentality can psychologically make people play worse, especially in this one where you need to be confident in your Deflects and stand there awaiting the attack. As is stated, Hesitation is defeat. Even when if someone screws up many things can be recovered from as long as one doesn’t panic, it’s so often about staying cool under pressure and focusing and I hope this can help people in having the confidence to do that too. So I wanted to run a poll by people, I was considering for the LP allowing mods to be used. 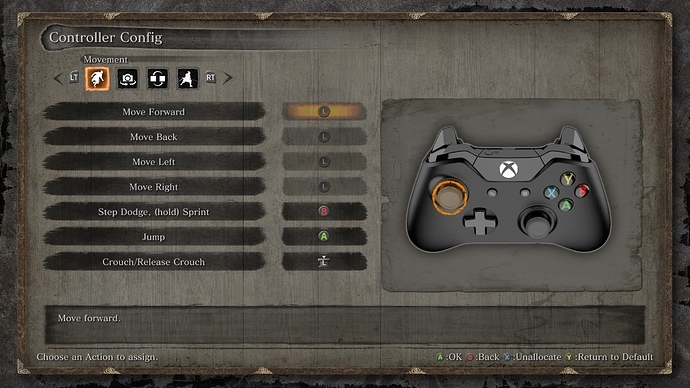 Cosmetic ones and things that fix issues(Like it displaying Xbox prompts when I’m using a PS4 controller). 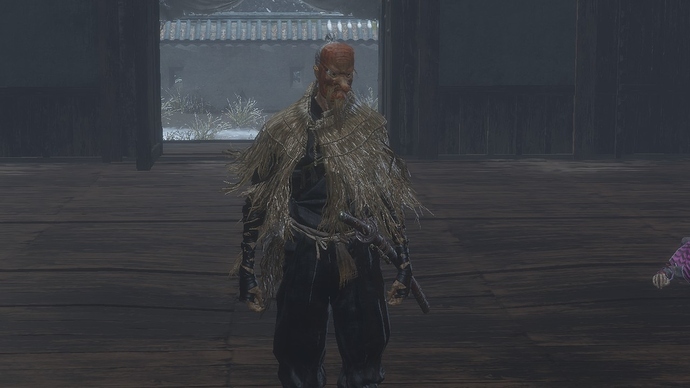 Sekiro doesn’t let you change your appearance at all, and there have been some costumes uploaded to the mods nexus that look decent(I’d only want to use ones that seem fitting). I’d mention in video when something is a mod, and at times not have them active to make it clear still what the base game is like. 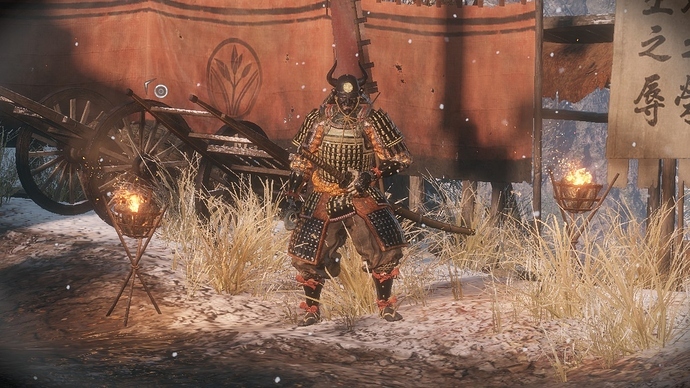 But they do seem nice and Sekiro’s lack of customization can be a bit stifling at times. I’ve been playing since the game came out and I don’t think I’ve even hit the halfway point of the game. I think I’ve hit my skill cap so I don’t think I’ll ever beat it. Which is fine. I just don’t have the time or motivation to attain shinobi mastery. As long as you got some satisfaction and joy out of the experience. 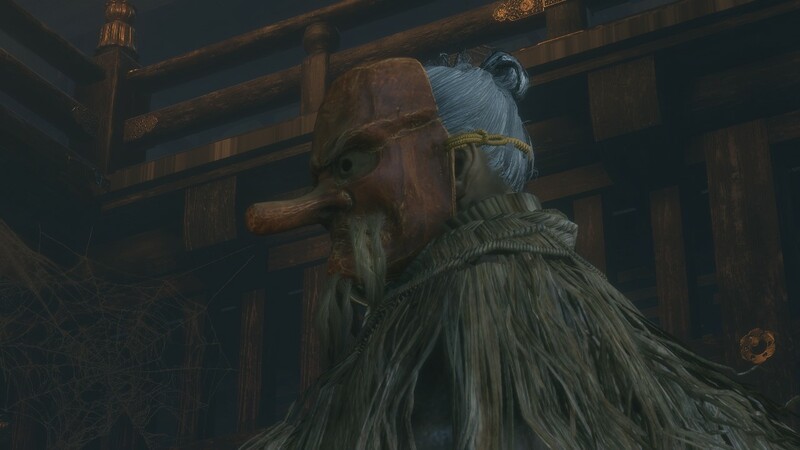 It’s totally fine to be unable to beat Sekiro, I really don’t like when people consider it a negative mark on someone’s character or even abilities. While I find this game easy many do not, and there are parts of this game where unless you can flawlessly do a fight if you don’t look up a weakness or where to find a tool, it’s practically unbeatable. Also from talking to others and looking at the poll I’ll be showing mods in videos, mostly just different outfits for Wolf. As well as things that help like PS4 button displays(I’m using a PS4) controller. And thank you GreaJoe(GreatJoe was helping me figure out a post issue). EDIT: Testing Alt Image code below for screen readers. 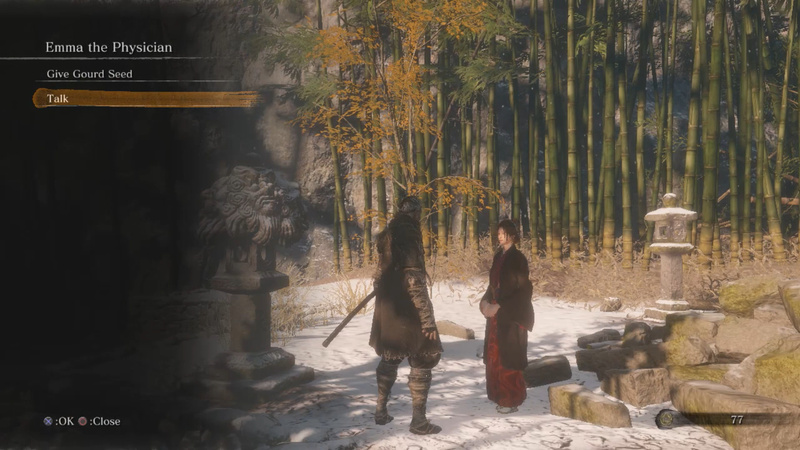 In the second episode of the Sekiro LP we examine more of the basics of how to play the game, we talk to our new friends at the hub, and we get early on into the Ashina Outskirts. This is a very simple episode that introduced a lot of the game to us. We meet the Sculptor who saved us and his past a bit, we meet Hanbei the Undying(Infested) who is an immortal that wishes to be a sparring buddy, and Emma who wishes to see Lord Kuro’s rescue, and who aids us with our Healing Gourd. Wolf faces off against a general of the Ashina as well. It is also revealed that thanks to Kuro’s blood and the pact made with his master that Wolf can revive from death. 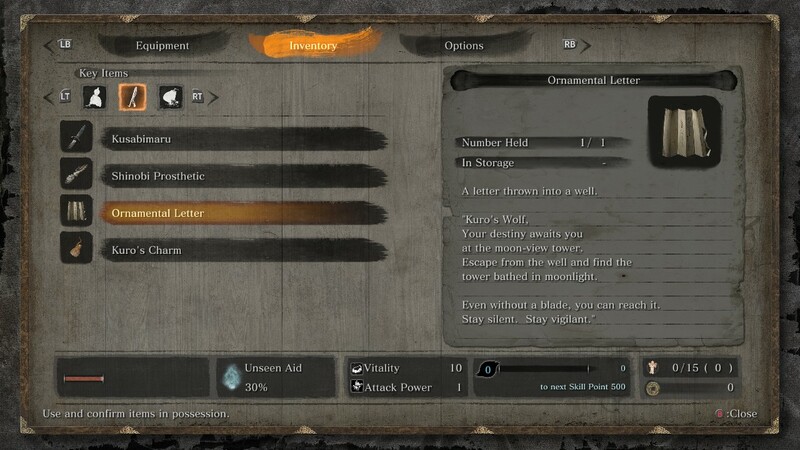 It is also revealed that thanks to Kuro’s blood and the pact made with his master that Wolf can revive from death. 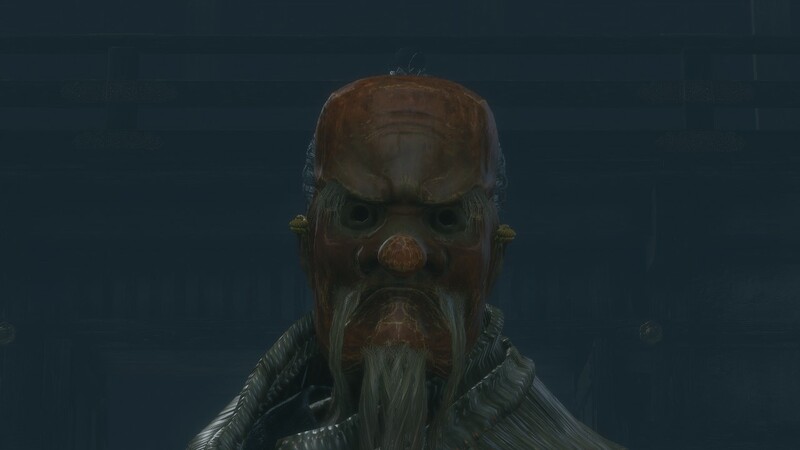 How do you say “eyes on the inside” in japanese? Well I mostly know historical and cultural terms. I don’t actually speak Japanese. Oh yeah at the end of the LP I might also post my NG+2 Charmless Demon Bell videos, just so people can see those. I technically might have a world first with them since it seems like no one else has uploaded any videos of them beating that challenge level(Though I can’t check Japanese sites). But I’m about to start my NG+3 Charmless Demon Bell run so if that’s done before the LP I might post those instead. So hey there I’ll be doing some supplementary videos and things for the LP. One I made prior to the LP is actually a Mikiri Counter Guide, it is text only but goes over how to Mikiri Counter. 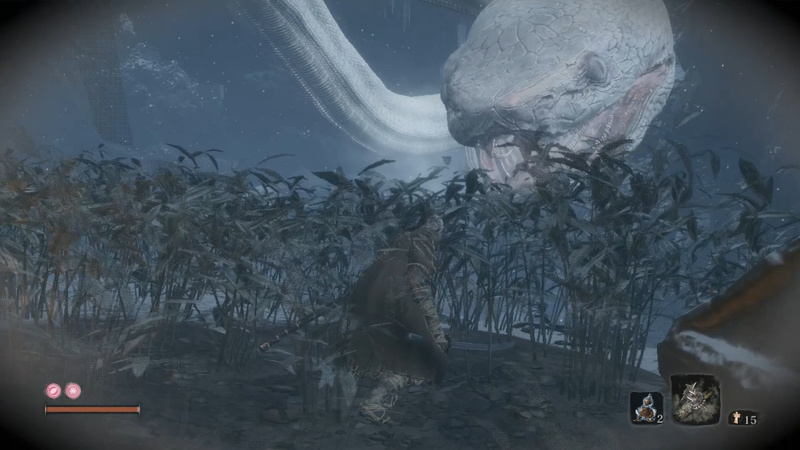 A warning though the final part contains an end game miniboss as it is a type of spear boss in Sekiro that is important to learn and it was the only one alive when I was recording. 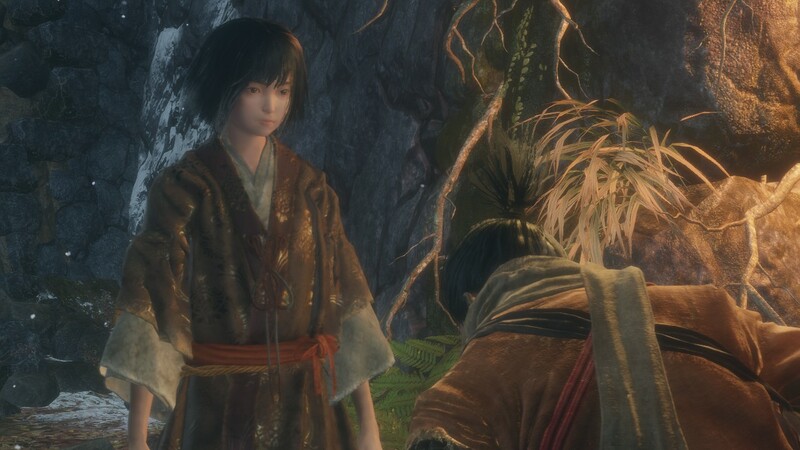 So I’ve already done NG+, then done an NG+2 Charmless Demon Bell run of Sekiro. Each NG+ multiplies enemy damage, health, posture, posture damage, and posture damage done to you on deflection. 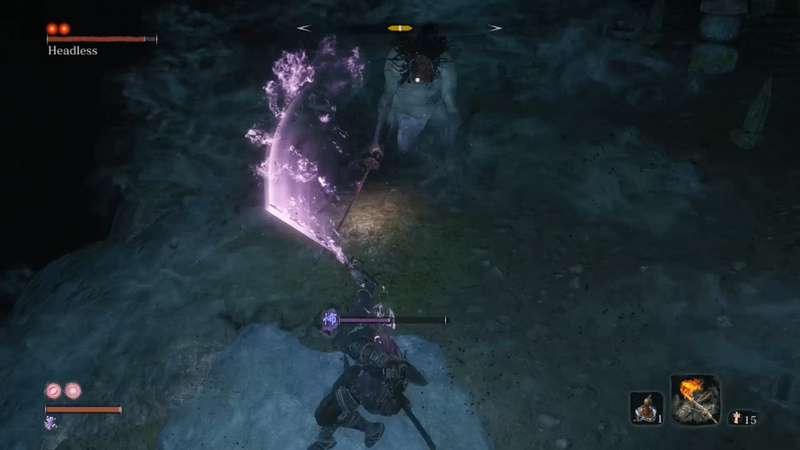 Kuro’s Charm is an NG+ difficulty you get, without this charm you will take chip damage when you block instead of deflect. 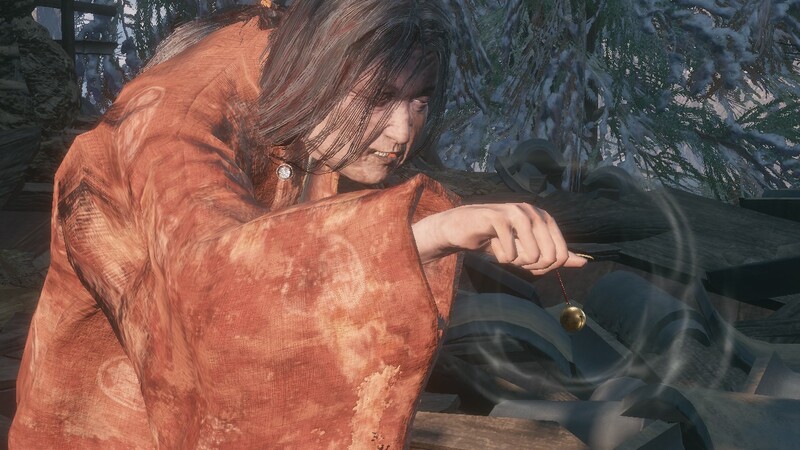 Demon Bell is hard mode for Sekiro, it greatly multiplies all stats of enemies and supposedly makes more items drop. 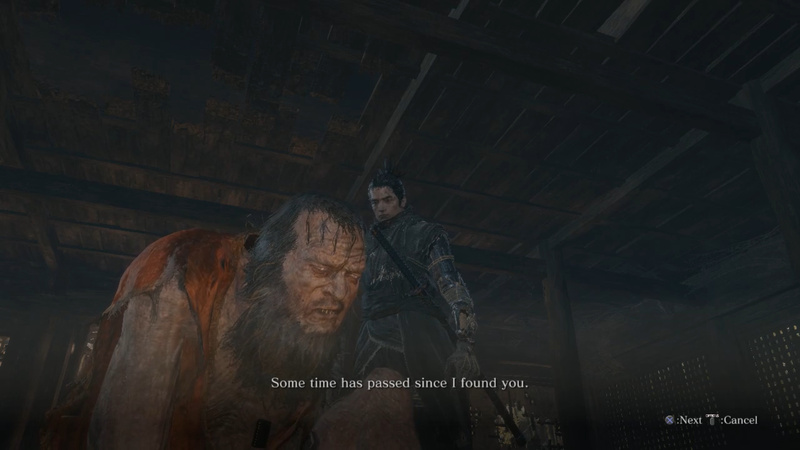 I have made a poor decision, and have started NG+3 Charmless Demon Bell No Hit All Bosses, for Sekiro. 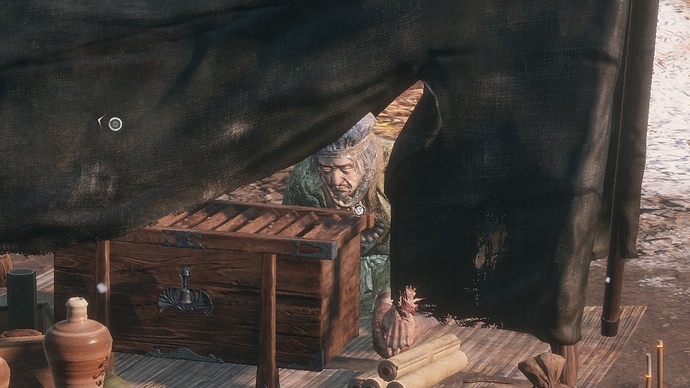 I will only post videos of things we have seen in the LP. If you’d like to see some of this you can below. No worries. I just wanted to make a Bloodborne joke. In this episode we get to know some of the residents of Ashina. We meet a few of them and learn more about the land and its people. This is a very simple episode with a lot of the setup for things to come. Because of this I’ve decided to upload more episodes than just one today. I’ll actually post Episode 6 as well today but a bit later as its own post. Finally we reach Hirata Estate. 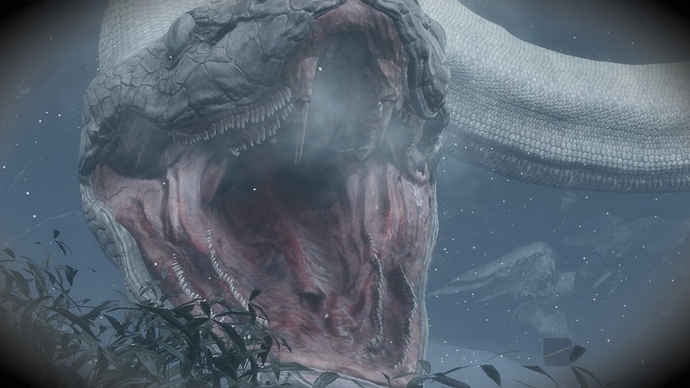 The events seen here took place three years prior to the main game’s events. Hirata is not really time travel, it s more of entering a dream or memory, in game it is called a dream. 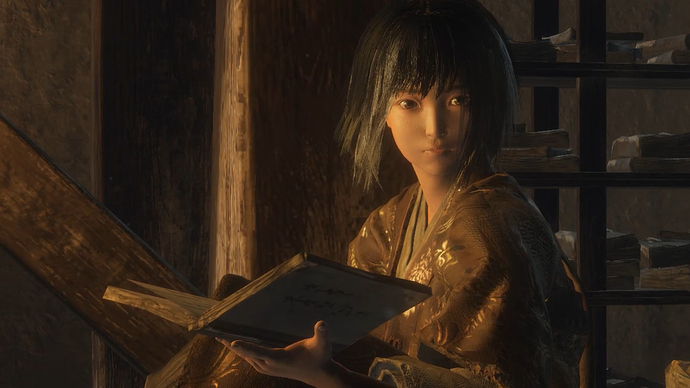 In Hirata we will get to learn more about the past of Sekiro and the Divine Heir as well we will get glimpses into the events behind the main story. On top of that we find some cool Shinobi Prosthetic Tools. Well it’s time to enter the thick of it. Sekiro starts a bit slow, talking to NPC’s and merchants and setting everything up takes a moment, but now it’s time to fight FOUR minibosses in a single video. 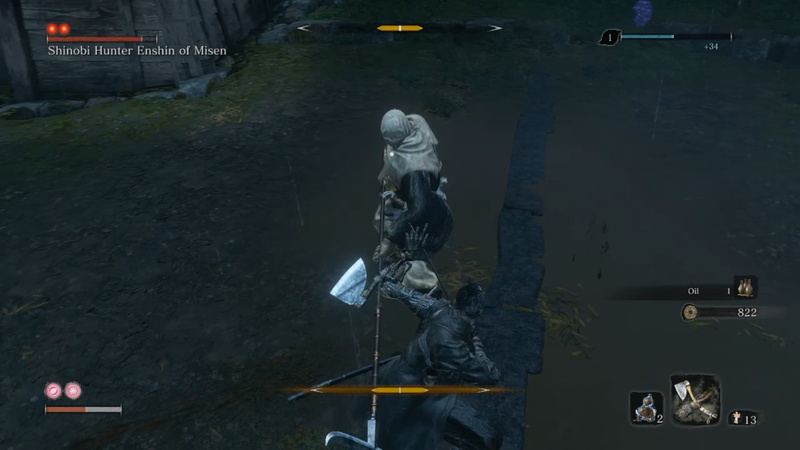 I show how to fight three of them with one being saved until we have the right tools to reasonably beat him. Through these bosses we are able to get closers to Ashina Castle and to rescuing Lord Kuro. It is TIME. In today’s episode we deal with Liquid Snake. 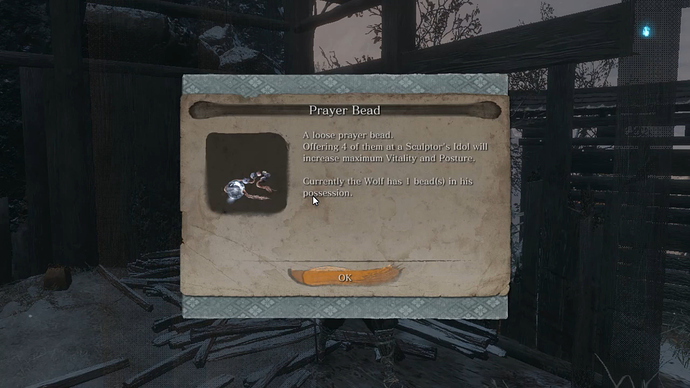 After dealing with him we move on towards the Ashina Fort and learn a little bit extra about the things going on in Ashina. But then it happens, we face our first true boss. This bombastic big boy Then we meet some weirdo with a long nose that kind of resembles a bird beak if you squint your eyes, he hates rats which is strange because they can be quite adorable animals. 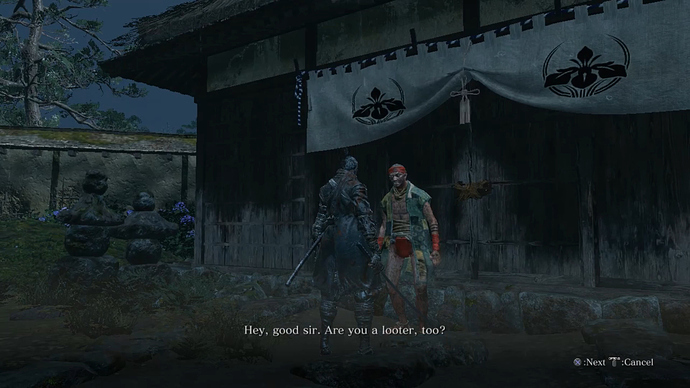 But this brings us to just before getting to Ashina Castle proper. Also below for the LP I recorded the intro in all the languages available, and made a separate video for that if you need the clip. Four episodes in one day. That’s a hell of a pace. How often can we expect updates in the future? It’s hard to tell at the moment, the reason I did this was due to some things coming up and having to wait, then uploading things to make up for it. For the first three as well it was so that we got the stuff that’s not quite as interesting to some like talking to all the NPC’s out of the way and could get to boss fights. Gyoubu I’ve been wanting to reach to show people how silly the game can be at times and that it has fun with itself. My goal would be every other day, unless an episode has a lot of talking then I might upload a 2nd part where there’s a big fight. This weekend I’m a bit busy so I’m unsure if I’ll manage to upload over the weekend given the holiday. Rendering can take quite some time, I actually record the footage a week ahead, then record all my voice over, then slowly render each completed video. This is more time efficient. I’m not sure if this is how you’d want to do it, but one idea is to make every video beforehand, upload them to YouTube and then make them public when you’re ready to do so.